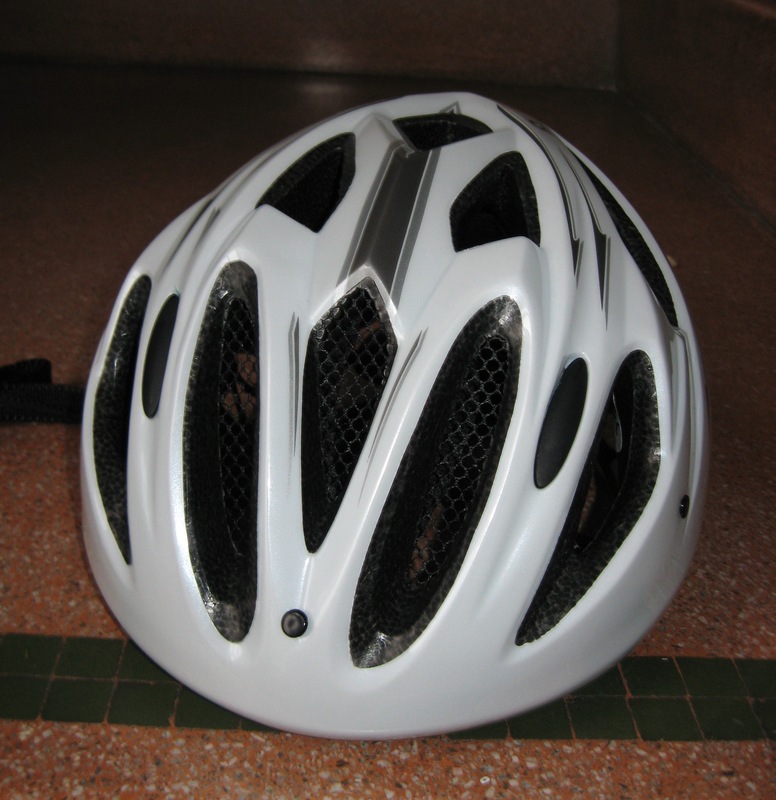 Following my recent crash it crossed my mind that I should, maybe, buy a crash hat. A couple of days ago I watched the YouTube video of Jens Voight’s stack up in the 2009 TDF when he smacked his head and face into the tarmac. This convinced me that I should splash out and it was my good fortune that yesterday Lidl were selling helmets. Nine quid the poorer I am now the proud owner of the helmet shown and would you believe it has a LED light fixed to the back. Well not exactly fixed, I suspect that the first time I ride over a bump the light will fall off but at that price I’m not complaining. Of course I will need to have another crash to discover if buying Lidl’s finest was a false economy but I can live (hopefully) with that. 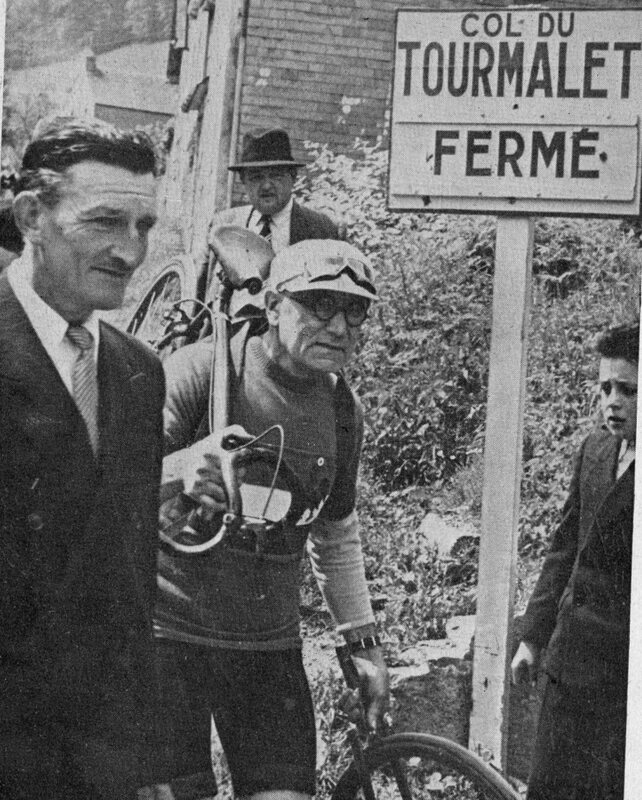 Everybody with more than a passing interest in bike racing will know the story of Eugene Christophe’s broken forks on the descent of the Tourmalet in the 1913 Tour. He carried his broken bike eight kilometres to the village of Sainte Marie de Campan where he was directed to a blacksmith’s shop and with the assistance of a seven year old boy carried out a repair and was back on the road having lost four hours. He arrived in Luchon in last place with all hope gone of winning the Tour. The old warrior was back for the start in 1919 and after three stages he was race leader and for the start of stage 11 he was awarded a yellow jersey following complaints from journalists that they could not pick out the race leader. As there were, at this stage, only eleven men surviving it would hardly seem to be the trickiest task. By the penultimate stage of 468km from Metz to Dunkerque the future toe-clip maker had a lead of 28 minutes and victory looked certain. But can you imagine the state of the roads in northern France just eight months after the end of the Great War? They were too rough for Christophe’s forks and just outside Valenciennes they broke. This time he was in luck, sort of, as there was a workshop just one km up the road. He replaced the broken blades and was back in the saddle in just over an hour. Again he was last on the stage and again he had lost his yellow jersey and the Tour. I was taking a bus ride in Bournemouth when I noticed that the guy sitting next to me had the book In search of Robert Millar in his bag. We got talking and he said that as a young man he lived in Northolt and was a member of the Ross Wheelers. I said that as a young cyclist in the late fifties I had read, in Cycling & Mopeds, of a good tester John Finch who was a member of the Ross Wheelers. My new acquaintance said he was his older brother! Remarkably despite being able to recall something I read over fifty years ago I can’t remember my fellow passenger’s christian name but it may have been David! 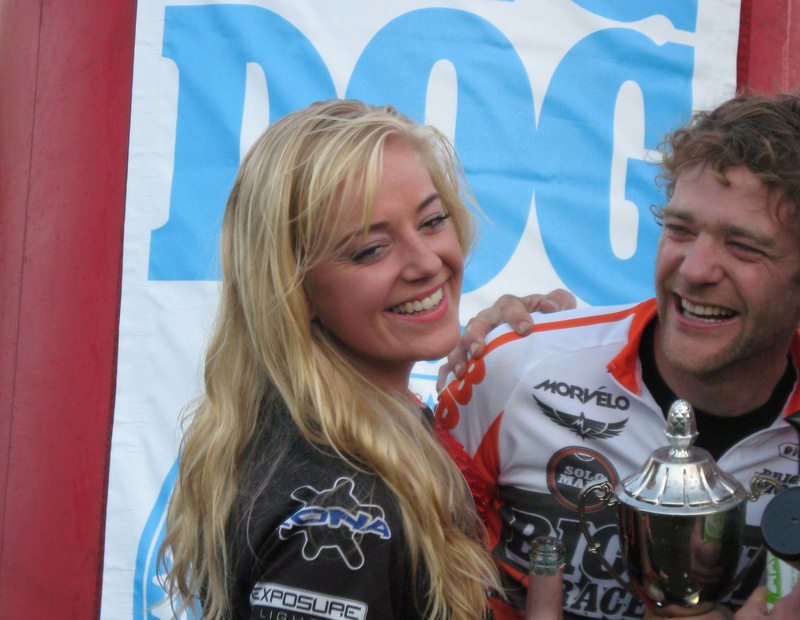 Brighton Big Dog mountain bike race. As this event was just down the road at Stanmer Park I took a look. It was a six hour event contested by solo riders and also teams of two and three. There were numerous other categories meaning the prize presentation took forever. This wasn’t too much of a hardship as the podium girl was a bit of a looker. The only name I recognised was Yanto Barker who rode in the solo event but he wasn’t in the prizes.